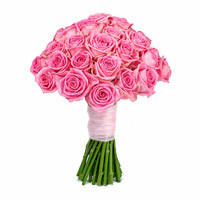 Send Valentine's Day Flowers to Mumbai A range of exclusive roses on Valentine's Day in Mumbai. 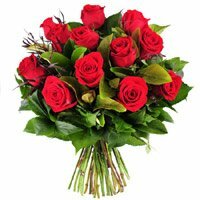 Place Order to send Valentine's Day Roses in Bouquet in Mumbai. Velvety red roses are the best messengers of love and there is no second opinion about it. If you are true lover and want to express your feeling for your beloved, Valentine's Day is the one opportunity you should not miss. The day considered paramount for all love struck heart's comes in 14th February and is celebrated all around the world. Valentine's Day flowers are an essential gift for the occasion and of course to make the gift special you need an expert touch. Make Mumbai Online Gifts your gift partner as we have highly skilled florists at work who create awesome floral arrangements to suit modern taste and fit all occasions. Give Cupid a fair chance this year sending your sweet heart an extremely pretty red rose heart bouquet, a cascading red rose arrangement or some stunning long stemmed roses in a stylish vase. We deliver Valentine's Day flowers delivery to Mumbai, choosing the best farm fresh flowers available. Jazz up the romantic gift choosing a combination of delicious chocolates, cakes and teddy bears with your the fascinating bloom and be sure your love will get a new meaning. In case you choose to be a little different, the Valentine's Day flowers to Mumbai also includes an extensive range of pink, white and yellow roses, right for expressing admiration and appreciation. Curled up ribbons, delicate bows, flashy embellishments, it all goes to style up the special bouquets for your love. For those who are scared to express their inner feelings, it's time you took a bold step with a classy gift because with a bunch of delicate roses, you need not even utter a word and the feelings are communicated. Pick a red rose bouquet for your Valentine this year without hesitation; remember lost time never comes back! Mumbai Online Gifts is the ultimate online gift destination for flowers, cakes, sweets, chocolates, soft toys and more all through the year. 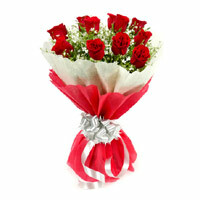 We deliver Valentine's Day flowers to Mumbai and suburb including Thane, Vashi, Navi Mumbai. 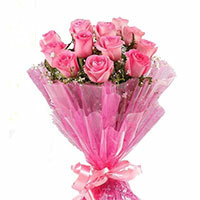 We provide same day delivery option to send Valentine's Day flowers to Mumbai, Flowers to Mumbai, Roses to Mumbai. We deliver Valentine's Day Flowers to Mumbai by our own network all across Mumbai to maintain the freshness of the flowers.